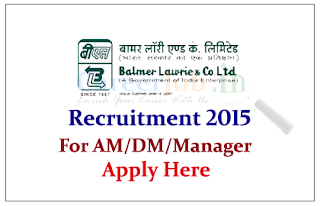 Balmer Lawrie & Co Limited is recruiting for the post of Assist. Manager, for year of 2015. 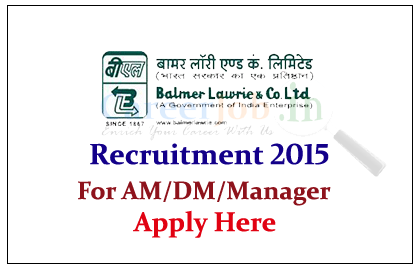 Eligible candidate can apply online here on or before 15th June 2015. Company Profile: Balmer Lawrie, a public sector company under the Ministry of Petroleum & Natural Gas, is a professionally managed, multi-location, diversified conglomerate having presence in manufacturing as well as services sectors, with a consistent track record of growth and profitability. How to Apply: Interested and eligible candidate can apply online on or before 15.07.2015. For more details kindly check official notification.